Years of subtle changes to land use and zoning have slowly become the invisible forces that shape our behavior, whether we realize it or not. Lately I’ve been thinking about the invisible forces that shape our behavior. In an era of ubiquitous access to technology, we’ve become like Pavlov’s famous dogs. One quick glance at our phone reveals a new notification, which beckons us until we eventually succumb. A single click leads to another which leads to a swipe which leads to yet another hour scrolling through email, news feeds, and Facebook photos–which wasn’t exactly how we planned to spend the day. It’s less a choice than a reaction. We’re responding to our environment, but unfortunately, our environment is populated with a heck of a lot of compelling electronic distractions. Humans like to think that we’re rational creatures, making a series of intelligent decisions throughout each day of our lives. After all, isn’t a sense of free will what separates us from the animals? But just how much choice do we actually have? Let’s say you glance inside your refrigerator and decide you need groceries. What does that trip to the grocery store look like? 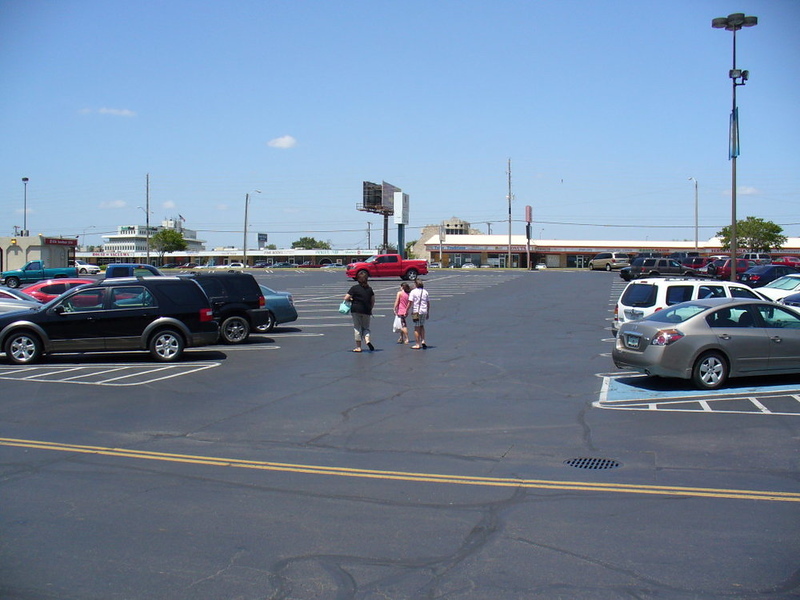 If you’re like many Americans, you probably just envisioned yourself getting in your car, driving to a shopping center, and parking on a large surface parking lot. The sad thing is that this decision was made for you long ago. In fact, your trip to the store is the culmination of thousands of other decisions, both large and small, made by total strangers over the past 80 years or so. And yet, most of us would be hard-pressed to name more than one or two of the many ordinances, policies and regulations that govern every aspect of how we physically interact with the city we call home. Although these regulations are basically invisible to the average citizen, the more you learn about them, the harder it is not to see their impact on your day-to-day life. Personally, I’m starting to feel like that guy in “The Matrix” who looks at the scrolling code on a computer screen and no longer sees the code, just “blonde, brunette, redhead.” Except for me, it’s the opposite. I walk down a city street and instead of seeing shops, restaurants and houses, I see land use maps, parking requirements, subdivision regulations, landscaping ordinances, and street engineering standards. As an example, let’s assume that you live in a neighborhood that was built after 1950 or so. If you live in the post-war suburbs, it’s quite likely that single-use zoning regulations ensured that your home would be part of a residential neighborhood, surrounded by other single-family homes, far from “nuisances” like commercial endeavors. Basically, zoning ordinances segregated different types of “uses”—residential, office, commercial, industrial—from each other. Each use had its own space designated on a map, which seemed very clean and orderly at the time. The confounding result is that the place you live may be quite distant from the places you need to go. For years, this was justified by the assumption that every family would have a car, which would make it easy to traverse long distances. Unfortunately, if you’d like to walk or bike, the nearest grocery store could be several miles away from your home. 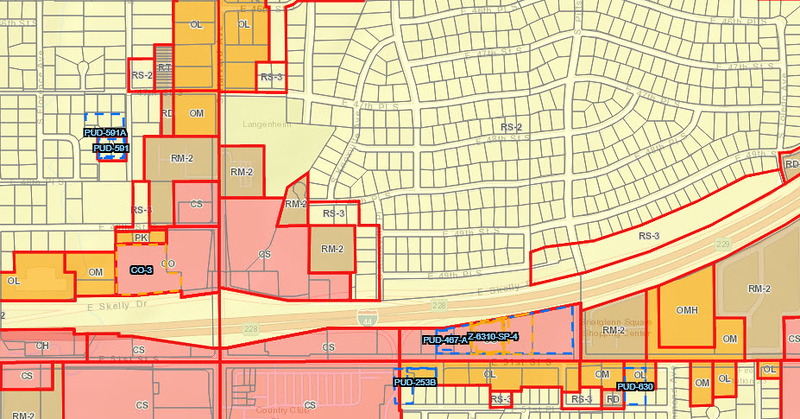 A typical zoning map. 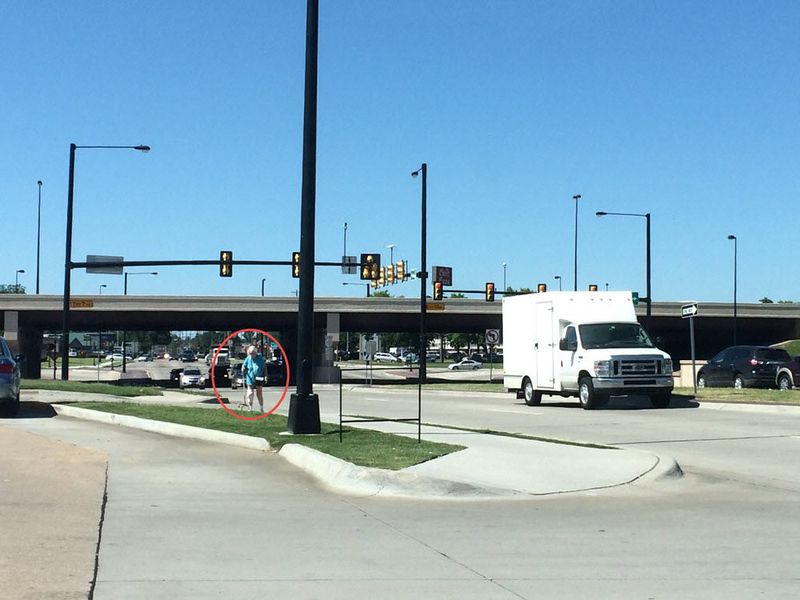 It’s easy to get to the store…assuming you can cross the interstate. 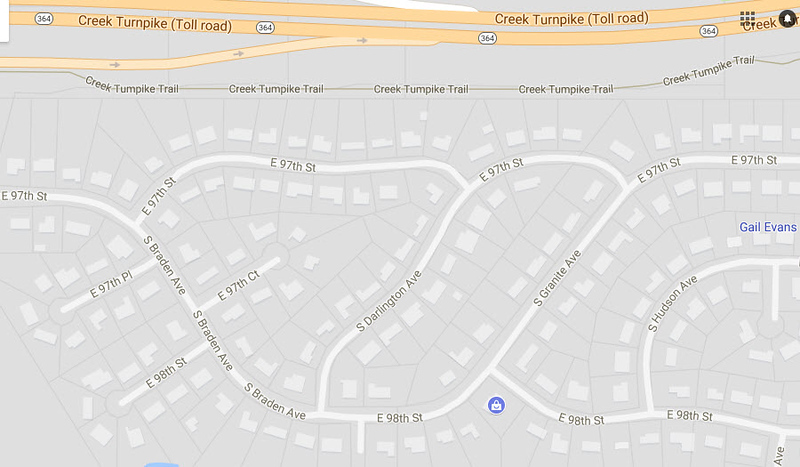 Local subdivision regulations may have encouraged developers to design your neighborhood with large lots and long blocks ending in cul-de-sacs. They also may have required local streets to feed into a single “collector” before emptying onto arterials at limited points around the subdivision. Ironically, the goal of these designs was to limit the negative impacts of traffic, and create quiet, bucolic streets. Of course, the result is quite the opposite. Long streets encourage drivers to speed through neighborhoods, and the lack of connectivity creates artificial bottlenecks because all traffic is channeled onto a handful of through streets. Meanwhile, pedestrians and cyclists are confounded by elaborate mazes and roads to nowhere, greatly extending the distance one must travel just to get out of the neighborhood. Why didn’t the chicken cross the road? It was terrified. Engineering regulations that govern street design may have dictated the creation of wide roads with oversized lanes designed for fast moving cars, along with protected left- and right-turn lanes at every major intersection. In fact, many city streets haven been designed based on the AASHTO “Green Book,” which is basically an engineering manual for highways. The resulting high-speed streets and wide, complex intersections are both dangerous and intimidating to pedestrians. A far better approach would be for cities to adopt the standards found in the NACTO Urban Street Design Guide, but old habits, perhaps especially the bad ones, are hard to break. Other street design standards may be influenced by the International Fire Code. These standards prefer wide lanes and corners built with enormous “turn radii,” which allow even the largest ladder trucks to navigate turns without swinging out into the adjacent lane. Unfortunately, they also encourage cars to corner at high speeds, posing yet another threat to people on bike or foot. But look on the bright side, if you get hit by a car, the fire department can send a truck over in a jiffy!